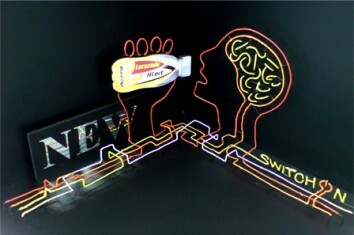 In 2008, I was asked to make a model from an initial drawing for the current Lucozade Alert campaign. Most of the design was already there, my job was to translate it to a working model so the neon makers could understand its rather complicated structure. 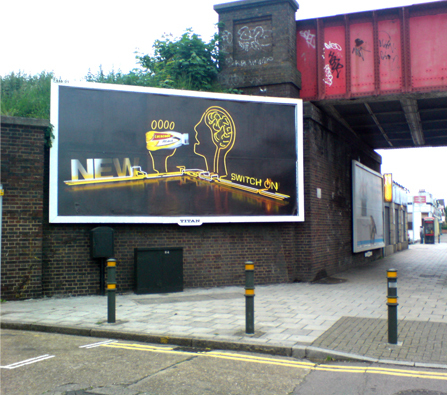 I feel quite proud that I had a little input in the development of the design. Electrosigns, who commissioned me and made the real neon, were having to fight to convince M&C Saatchi to make the neon rather than produce a CGI impression, and I’m so glad they made the real thing. Neon bending is a dying art that I’d be very sad to see lost.